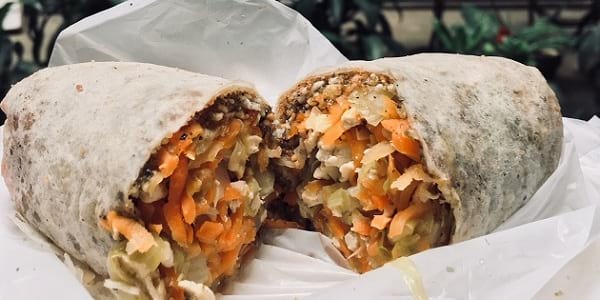 Hidden along Quintin Paredes Street is a tiny eatery famous for their fat lumpia rolls -- veggie-loaded, garlicky, nutty -- one of the many cheap eats to enjoy in Binondo, the oldest Chinatown in the world. Have you always been interested to try different Chinatown chows? Grab your chopsticks and ready yourself with basic Chinese phrases, here are 10 food finds in Binondo under P150 that will surely bring you to Chinese-food heaven. 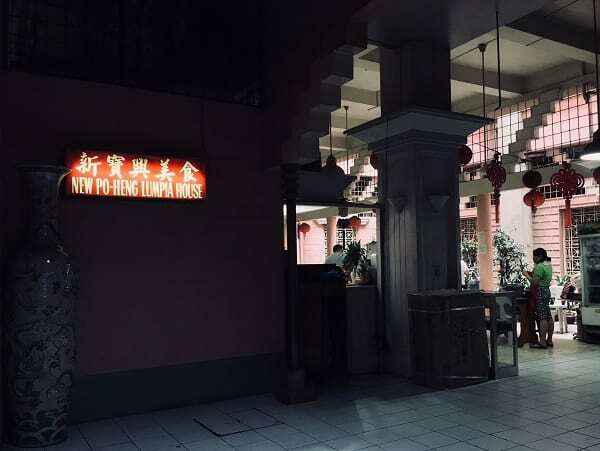 If you're unfamiliar with Binondo's many twists and turns, you might just miss it -- but everyone in the neighborhood knows this carinderia so ask around and you will be lead to a dimly lit hallway of an Art Deco building with pink walls. Just look for the pink walls, and you'll find New Po-Heng Lumpia House at the ground floor located at the building's courtyard area. This humble eatery is a turo-turo establishment, with viands like pork and fish maki, misua noodles, and kiampong to fill you up. 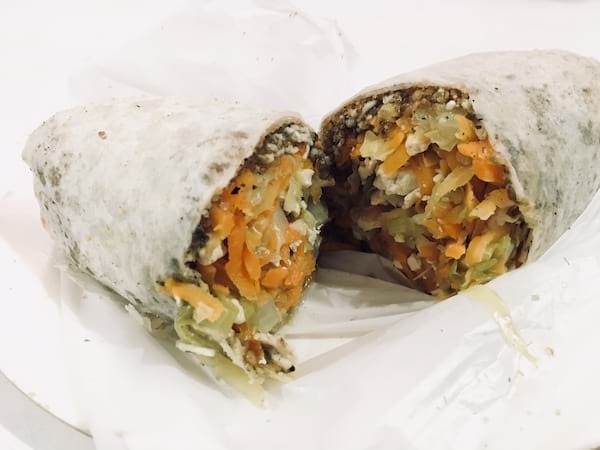 What they're wildly famous for, though, is their lumpia (spring roll) that is not exactly fresh lumpia as its stuffing is cooked. 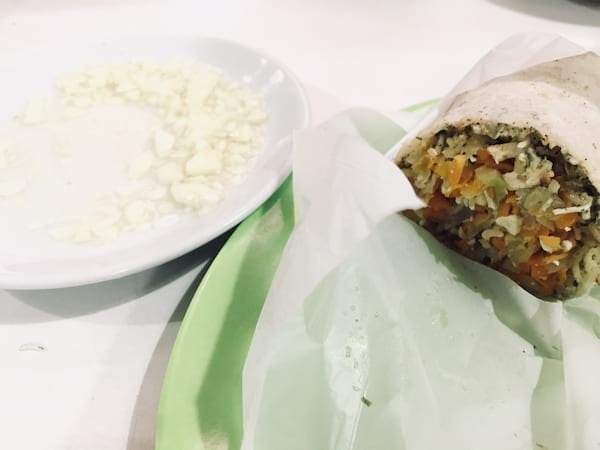 What it is, though, is a Tsinoy-style lumpia always freshly rolled upon order--the lumpia wrapper is fresh, and you can see the ladies behind the counter prepare the stuffing of finely chopped vegetables, ground peanuts, crispy bihon, and sugar. The lumpia is amply stuffed, thick as a burrito, and will fill you up quick. 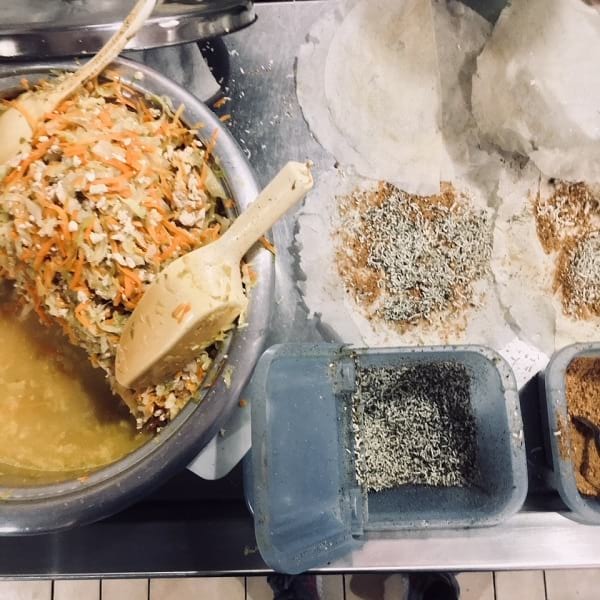 The finely sliced carrots and cabbage are crisp and refereshing, the chopped tofu add softer texture, while the crispy bits of noodles and sprinkling of sugar powder add another layer of texture and flavor. The finely chopped garlic adds punch. Guests smother these rolls with the lumpia sauce, served in plastic condiment bottles for easy squeezing. The sauce is the standard thick and sweet, with just a little spice. But other folks here, I am told, prefer going the vinegar route with their lumpia, and so I try it their way. The server comes ready with a sawsawan of vinegar with chopped garlic, and I dip half of my roll on the sauce, and after one big bite realize how eating it this way makes the lumpia extra addicting. Pro tip: have it with their vinegar and garlic sawsawan instead of the usual sweet lumpia sauce. Where to Find it: New Po-Heng Lumpia House, located at Uy Su Bin building, 531 Quintin Paredes Street (937 Ongpin Street), Binondo, Manila.